Prof., Dr. Sc. VITALY NAUMKIN was elected Director of the Institute of Oriental Studies in May, 2009, and Corresponding Member of the Russian Academy of Sciences in 2011. Vitaly Naumkin was born on 21 May, 1945, in the city of Yekaterinburg (then Sverdlovsk), Urals, Russia. In 1968, he graduated with distinction from the Institute of Asia & Africa (then Institute of Oriental Languages), Moscow State University, (ISAA MGU), Faculty of History & Philology, where he had studied the Arabic language and history of the Arab world. He also completed a training course at Cairo University and American University in Cairo in 1966-1967. In 1968-1970, he served in the Soviet Army as an officer and taught Arabic for interpreters at the Military Institute of Foreign Languages, Ministry of Defense. Already at that time, Vitaly Naumkin was one of the best Arabic simultaneous interpreters in Russia and was frequently summoned to work in this capacity for the country’s top leadership. After postgraduate studies at Moscow State University throughout 1970-1972, he defended his PhD dissertation on the doctrine of an outstanding Islamic medieval theologian Abu Hamid al-Ghazali (11-12th centuries). Later, in 1980, his translated into Russian and commented the greatest work of al-Ghazali – Ihya’ ‘Ulum al-Din (The Revival of Religious Sciences) – was released in a “Written Records of the Orient” series by Nauka Publishers to become a popular book with Russian-speaking readers until now. Since 1972, Vitaly Naumkin delivered lectures on medieval history of the Arab peoples, Islam and modern political development in the Arab world at the ISAA MGU. Throughout 1972-1977, he was a lecturer with the High School of Social Sciences in the People’s Democratic Republic of Yemen. In 1981, Vitaly Naumkin earned his Doctor of Science degree with a dissertation on the history of South Yemen’s armed struggle for independence led by the National Front. The treatise related to his dissertation, based on multiple original sources, was published in Russian in Moscow, and later, in 2004, released in English in Oxford under the title “Red Wolves of Yemen”. Two editions of the work were also produced in Arabic. 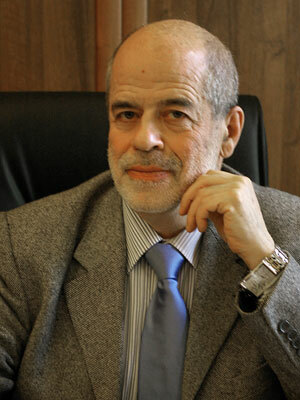 In 1984, Vitaly Naumkin joined the Institute of Oriental Studies under the Russian Academy of Sciences, where he became Head of Department of the Arab Countries, then throughout 1989-1994 served as Deputy Director of the Institute, and throughout 1994-2009 – Head of the Center for Arab Studies. Over the years of his scientific research and academic career, Vitaly Naumkin has imparted knowledge to hundreds to researchers, 50 PhDs and 5 Doctors of Science, who became scholars, professors, state and public figures, career officers, journalists in Russia and abroad, first of all in the Arab world. From the early days of his scientific exploration, V. Naumkin has revealed an extraordinarily vast scope of interests – ranging from medieval history, Islamic heritage, archaeology, culture, languages, Middle Eastern philosophy, to current world problems, ethno-political conflicts, global politics and international relations, regional studies (including Central Asia and the Caucasus). Vitaly Naumkin led science research teams who were committed to large-scale projects, providing insightful guidance to their efforts and editorship to many fundamental research products. He is credited with having developed major conceptual ideas underlying this huge bulk of work. Vitaly Naumkin is a co-editor and co-author of the concluding, 6-volume of “The History of the Orient” released in 2008 and dedicated to contemporary history of Asia and North Africa. Multiple books published in Russia, US, Great Britain and other European countries, likewise in the Near and Middle East, in the Russian, Arabic, English and other languages have earned him broad international recognition as a leading expert on the Arab world, Central Asia and Caucasus. Naumkin is an editor and co-author of “Central Asia and Transcaucasia: Ethnicity and Conflict”, published in the USA in 1994. He was editor and co-author of “Russian Oriental Studies”, a collective monograph published by Brill Publishers in Leiden (Holland) in 2004. Another recent high-profile publication released by Rowman & Littlefield in the US in 2005 was “Radical Islam in Central Asia: between Pen and Rifle”, it has been included in the list of mandatory literature for many Universities worldwide. Many of his articles have been translated into foreign languages. In the 1970-s, V. Naumkin launched his Yemen research project. His primary interest was Yemen’s ancient and modern history, current development issues. Since 1983 until now, he has been leading the Russian interdisciplinary expedition to Yemen (formerly Soviet-Yemeni team), involved in annual field season activities on the island of Socotra. Vitaly Naumkin has, in fact, pioneered a scientific exploration of the island. His unprecedented research into its history, non-written language, unique customs and rituals, tribal social structure of the aboriginal Socotrans, has been widely acknowledged both inside and outside Russia. In 1981, “Essays on the Ethno-linguistics of Socotra” written jointly with V. Porkhomovsky were released in Russia, followed by a treatise “Socotrans” in 1988, and, in 1994, “Island of the Phoenix” was published in Great Britain, as a summarizing record of many years of work on the island. In 2012 a new book on this island: “Socotra – Island of Legends” is published in Arabic in Abu Dhabi and in Russian in Moscow. V. Naumkin is reputed to be a most prominent Russian expert on Islam, he continues to be energetically involved in the Oriental science today. His most recent books include “Islam and Muslims: Culture and Politics” and the commented translation of al-Ghazali’s work “Al-Qustas al-Mustaqim”. Since 1998, V. Naumkin has been Editor-in-chief of the “Vostok/ORIENS” journal, chairman of the “Oriental Archive” editorial board, as well as an editorial board member for “Central Asia and Caucasus” (Sweden), “Vestnik of the Russian Nation”, “Vestnik of MGU (Moscow State University)”, “Himalayan and Central Asian Studies” (New Delhi, India), “International Relations” (“Rawabet-e khariji”, Tehran, Iran), “Oriental Studies” (Russia), “Journal of History” (Russia), “Modern Islam” (Russia), “Oriental Collection” (Russia), “Proceedings of the Academy of Sciences of the Republic of Tajikistan” journals and other periodicals. Member of the International Institute for Strategic Studies (London). Member of Toda International Advisory Council (TIAC), Toda Institute for Global Peace and Policy Research (Tokio). He has been chairing the Council for doctoral dissertations at the Institute of Oriental Studies for almost twenty years, and is a member of the Scientific Council of the Museum of Oriental Arts (Moscow) and other research councils, professional and scientific associations and advisory boards. Member of the Bureau, Department of History and Philology, Russian Academy of Sciences. Member of the National Committee of the Historians of Russia. Member of the Russian Association for International Studies. In 2010 he was elected Chairman of the Society of Oriental Studies of Russia. Since 2003, V. Naumkin has been Professor and Chair, leading the Department of Regional Studies at the Faculty of World Politics at Moscow State University. He delivered lectures at many Universities in different countries: in 1991, he was a visiting professor with the American University in Cairo (Egypt), in 2003 – a visiting professor with the University of California in Berkeley. In 2004, he was a Rockefeller Foundation fellow at the prestigious Bellagio Center (Italy). V. Naumkin was the organizer and a participant in many international and local science conferences, seminars and panel discussions. He frequently writes for Russian and world media, speaks for TV channels, in 2001-2002, he was a guest observer for the Abu Dhabi Satellite channel (UAE). V. Naumkin produced a series of documentaries entitled “Russia and Arabs” for the “Russia Today” TV channel and other programs, that were successfully broadcast in Arab countries. V. Naumkin has been active in the public service. Since 1991, he has been President a non-profit NGO “Center for Strategic and Political Studies” that has been set up on his initiative to address a public diplomacy mission, world policy and international relations. He is a co-chair of the Russian-American Regional Conflicts Task Force of the Dartmouth conference. He has made a significant contribution to narrowing the divide between the conflicting parties in the Middle East and post-Soviet territories, particularly, in case of the Inter-Tajik reconciliation and the case of Nagorno-Karabakh. V. Naumkin is a member of the advisory Scientific Council under the Minister of Foreign Affairs of Russia, a member of the advisory Scientific Council under the Security Council of Russia, and chairman of the Scientific advisory board of the Russian Justice Ministry for studying religious materials. Member of prestigious Russian think tank – Council for Foreign and Defence Policy (SVOP). Member of Valdai International Discussion Club. Member of the Scientific Board of the Russian Council for Foreign Affairs. In 2006, upon recommendation from the Russian government, he was appointed by the UN Secretary General a member of the High Level Group (HLG) of the UN Alliance of Civilizations project. He was a co-author of the report generated by the HLG for the UN, that was approved by the UN General Assembly and provided the foundation for the Alliance’s strategy. In 2008, V. Naumkin was appointed Ambassador for the Alliance of Civilizations by the UN Secretary General. V. Naumkin has been honored with Russian and foreign awards, including the Russian Order of Friendship, bestowed on him by the Russian President for his achievements in science, medals and Certificate of Merit from Russia’s Federal Assembly for his contribution in the development of relations among the CIS member-states, Order of Friendship of Tajikistan for his role in putting and end to the Inter-Tajik conflict. He has won many public distinctions, including a Medal of Honor from Russia’s Council of Muftis, an Order for the Beneficial Service to Motherland – Golden Cross, an Order of the Russian Nation. In 2010 he was awarded the V.Posuvalyuk Prize for his outstanding contribution in international journalism by the Ministry of Foreign Affairs and Itar–TASS State Information Agency. V. Naumkin is the author of over 500 publications in Russian and other languages dealing with the history of Asia, the Arab world, Central Asia and Caucasus, international relations, political science, Islamic studies, philology, conflict management and resolution. Abu Hamid al-Ghazali, Ihya ‘Ulum al-Din /translation into Russian, commentary and introduction/, Moscow: Nauka, 1980.Sokotriytsy (The Socotrans). Moscow: Nauka, 1980. Egypt and Egyptians: Yesterday and Today – introduction to: E.W.Lane, Nravy I Obychai Egiptian /Manners and Customs of the Modern Egyptians, translated into Russian/, Moscow: Nauka, 1982. Noveyshaya istoriya arabskikh stran /Modern History of the Arab World/, editor and coauthor, vol.1 – Asia, vol.2 – Africa, Moscow, Nauka, 1989-1990. Central Asia and Transcaucasia: Ethnicity and Conflict, Westport: Greenwood, 1994 /ed. and co-author/. Central Asia: State, Religion, Society, Reading: Ithaca, 1993. Essays in the Ethnolinguistics of Soqotra (with V. Porkhomovsky), Moscow: Nauka, 1981. The Middle East Conflict, Moscow, Materik, 2003, v.I-II. Islam and Muslims: Culture and Politics, Moscow: Medina Press, 2008. Abu Hamid al-Ghazali, Pravil’niye vesy (al-Qustas al-Mustaqim), translation into Russian, introduction and commentary, Moscow: IV RAN, 2008. Istoriya Vostoka (History of the Orient), vol.6 (editor and co-author), Moscow: Nauka, 2008. Middle East in the World’s Politics and Culture; and many others. The Archipelago of Socotra: Expeditions of 1974-2010, Moscow: Slavyanskiye Yazyki, 2012.